The Italian stock market closed Monday’s session up just 0.7 per cent. Earlier, Italian stocks were up as much as 4 per cent, but news that former Prime Minister Silvio Berlusconi was making a comeback in the polls sent stocks reeling. They even turned negative near the end of the day before rebounding a bit. Darkhorse anti-establishment candidate Beppe Grillo garnered a significant share of the vote as well. EARLIER: The first exit polls from the Italian elections are out, and Italian markets are liking the news. centre-left candidate Pier Luigi Bersani – seen as the best outcome for markets, as well as the most likely – looks set to win the election. 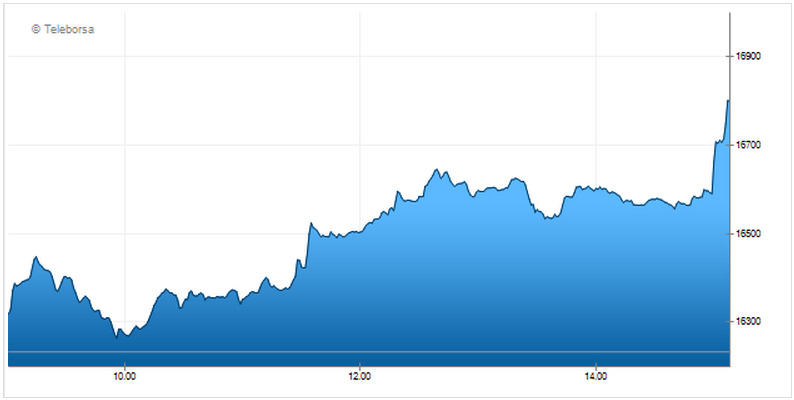 The FTSE MIB 35 is up nearly 3 per cent on the news. At 9am Et Sky News ran the headline claiming that an exit poll of Italian voters would return a Bersani-Monti coalition and probably the most market-friendly outcome. An RAI poll projects Bersani would win 38% in the senate vote against Berlusconi and would win 32%. Bersani is predicted to win 37% of the chamber vote compared to 31% for Berlusconi. Italian government bond yields were already pre-empting a positive outcome with BTPs lower by 11bps ahead of the headline. Since then, yields have doubled their decline for the session further encouraging a risk-on attitude across the continent. The 10-year yield is currently lower by 23bps at 4.216% to its lowest so far this month. Stocks in Milan immediately jumped building on an already bullish session. 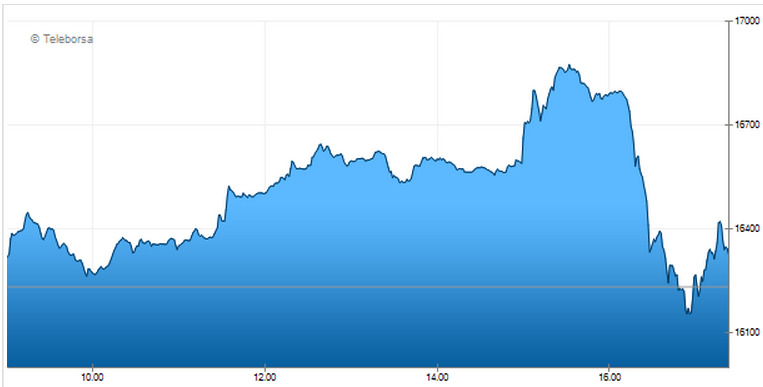 The FTSEMIB advanced to a 475-point gain (+2.93%) while across the region the Eurostoxx index is now higher by 2.46%. The euro initially bumped higher but is trading back down again.